Everything DiSC assessments use the following descriptors: Dominance (D), influence (i), Steadiness (S), and Conscientiousness (C). However, Everything DiSC assessments allow for finer differentiation among styles than just four labels. So some styles will be D, i, S or C; but there are also styles such as Di or SC. When you complete an Everything DiSC questionnaire you are scored on eight scales, not four. How long does it take to complete the disc assessment? It takes only 15-20 minutes to take an Everything DiSC assessment. You’ll be asked about 80 questions. Because it uses adaptive testing, not everyone receives the same questions or number of questions. What’s the best job for each DiSC style? You may have noticed that you see more of one dimension over another when you deliver Everything DiSC to different types of groups. Maybe construction seems to have more Ds or the most C-styles are in the accounting department. This does occur, but the distribution of successful people in each dimension is still pretty evenly distributed. For example, people in sales tend to be show up in the i quadrant, but they are also found in the other three. 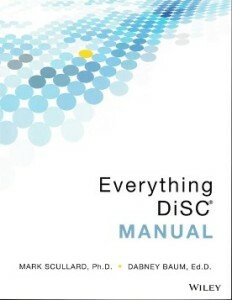 For more information see pages 82-84 of the Everything DiSC Manual. DiSC is not recommended for pre-employment screening because it does not measure a specific skill, aptitude or factor specific to any position. Personality assessments should only be one of many factors considered in the employment decision. DiSC is not a predictive assessment so assumptions should not be made regarding an applicant’s probability of success based solely on their style. We recommend using a pre-hire assessment validated for selection, such as PXT Select. Can your DiSC profile change over time? In general, the average person’s profile tends to stay fairly consistent over time. While small differences in results from one time to the next may occur, major shifts in style are unlikely. However, if it has been two years or more since you last took the assessment or a major life event has occurred, we recommend taking it again to ensure the most accurate and up-to-date information. Do different cultures or nationalities tend toward one DiSC style? We don’t see much difference in DiSC results based on region of the U.S. In fact, I had just done a comparison using some representative states (CA, DC, FL, IA, NY, OH, TX, CO, GA) and found very few differences. There was a very slight tendency for results like more S styles in Ohio or more D styles in Georgia, but these differences are so small that they have virtually no practical implications. With regard to ethnic difference, we can also say that we don’t see any differences based on the traditionally defined five U.S. categories. In fact, when we look at a large sample of Australians (living in Australia) who have taken the U.S. profile, they look the same as the U.S. population. I would only expect to see a difference in your sample with a large Latin-American population if participants are not very fluent in English. In such a case, the distribution of scores shouldn’t change, but the precision will drop a little. A person is only D relative to the people around her. A person is only C relative to the people around her. For example, imagine that we a have a plane full of S-style folks and the plane crashes on a remote island. We, of course, would have an island full of very, very polite people. But imagine that isolated community of people 10 years later, once they got to know each other really well. Some of those people would now probably be considered D’s – because they are more dominant relative to everyone else. If DiSC is going to be useful, it must help us understand our individual differences, not what everyone has in common. Is it common to have an extra DiSC priority? The Everything DiSC profiles show a dot for your style and shading to show your comfort zone. If a person scores high for priorities outside the three surrounding his or her style, shaded lines will be shown. In the example to the right, this person has five priorities rather than the more typical three. Approximately one-third of respondents will receive an extra priority or two in their report. How do you facilitate DiSC profile? Certification is not required to administer the DiSC Classic or Everything DiSC profiles. Everything DiSC Workplace certification training by Wiley, the publisher of Everything DiSC. Online instruction is available as is classroom training in Minneapolis, Minn. For certification in other countries, we can put you in touch with our international partners. Facilitation kits are available for all DiSC profiles assessments. Use their scripted modules, videos, and other resources to create your own customized training program. The DISC Model of Behavior was first proposed by William Moulton Marston, a physiological psychologist with a Ph.D. from Harvard. His 1928 book, Emotions of Normal People, explains his theory on how normal human emotions lead to behavioral differences among groups of people and how a person’s behavior might change over time. His work focused on directly observable and measurable psychological phenomena. There’s a long history from DiSC model to Everything DiSC profiles. Walter V. Clarke, an industrial psychologist, was the first person to build an assessment instrument (personality profile test) using Marston’s theories. He developed an assessment instrument for John Cleaver called Self Discription. Self Discription was used by John Geier, Ph.D., to create the original Personal Profile System® (PPS) in the 1970s. Inscape Publishing improved this instrument’s reliability by adding new items and removing non-functioning items. The new assessment was named the Personal Profile System 2800 Series (PPS 2800) and was first published in 1994. This self-scored and self-interpreted assessment is now known as DiSC® Classic. The Everything DiSC® product family, launched by Inscape Publishing in 2007, was created to make the DiSC assessment even more valuable to its users. It introduced more highly personalized reports, customizable facilitation tools and electronic access to unlimited follow-up reports. Is the DiSC profile accurate? Wiley, the publisher of DiSC®, is committed to maintaining the highest standards of instrument development and application through careful research and development processes. People agree with the narrative descriptions of their styles. All Everything DiSC® instruments offer valid scores and accurate feedback to the respondent. Each instrument is designed to provide reasonably accurate interpretations or feedback based on individual scores. Which DiSC profile is best? What do you want to learn? What problem are you trying to solve? Knowing the answer will help you choose the profile that best meets your needs. Choose from profiles focused on general workplace issues, management, leadership, sales, or conflict. If you want to learn more about yourself, we recommend Everything DiSC Workplace. You can be sure each Everything DiSC assessment has gone through rigorous evaluation for validity, reliability, and ease-of-use. Learn more at Comparing Everything DiSC profiles. 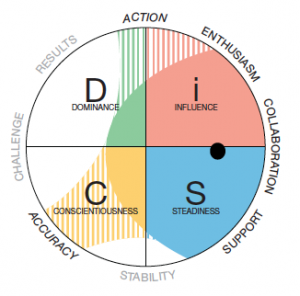 How often should you take a DiSC assessment? If it has been two years or more since someone last took the profile, we recommend taking it again to ensure the most accurate and up-to-date information.